The Rubin Health Center is St Petersburg’s leading “Chiropractor for Therapy after car accidents”, if you’ve been involved in a car accident: Call 727 822-1555 for an immediate appointment! If you need therapy after car accidents, you need to know accidents in cars can show up years later, with many other injuries that may not show up immediately after the accident. Many injuries will show up right away and are easy to diagnose and treat. Many injuries from the accident may not show symptoms until years after the auto accident. You should always go to a hospital or your doctor to ensure proper treatment for serious underlying injuries. You must remember that injuries to your muscles and joints will not always show symptoms right away. If you’ve been injured in an auto accident in St Petersburg FL, the Rubin Health Center in St Petersburg has all the diagnostic equipment needed to detect and treat your injuries. 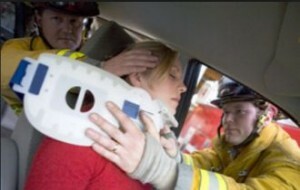 Auto accidents will usually cause injuries to your back or neck. Many times these injuries will result in pain right away; stiffness and many other symptoms may take a day or two to show up. Whiplash is characterized by a misalignment of your necks vertebrae and discs and can take years to show up and in most of these cases the damage and pain will be worse when it finally shows up. Auto accident symptoms that show up a few days later are stiffness and soreness in your neck and back. Spinal injuries from Auto accidents will result in back or neck pain that gets worse if it is not treated right away. 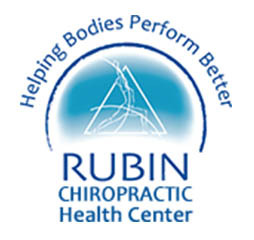 The Chiropractic at Rubin Health Care will help realign the neck or spine to relieve pain and other symptoms. Chiropractic offers you a safe and effective therapy after car accidents to relieve stiffness and pain caused by auto accidents. Chiropractor care can bring the affected area back into proper alignment, which will enhance the healing process to help make your discs and vertebrae strong and flexible again. If you’ve been hurt in an auto accident, chiropractic care will start with a comprehensive exam to evaluate your spine and neck, as well as your joints in your arms and legs. We will take X-rays of the damaged areas to see how severe your injuries are. You’ll receive a chiropractic treatment plan based on your evaluation, which usually involves manual spinal manipulation to realign your discs and vertebrae in the affected areas. Chiropractic adjustments may also be used, such as massage or electrical muscle stimulation. Take a moment to look around the treatments offered at The Rubin Health Center; we are truly a 21st Century facility that treats professional athletes and world class Olympians as well as people just like you. Chiropractic treatments and adjustments will provide you proven methods that will relieve your pain and stiffness. It can take weeks or months to heal the damage caused by a traumatic injury suffered in an automobile accident, depending on how serious your injuries are. You will be able to resume your daily activities much faster than any other form of treatment.